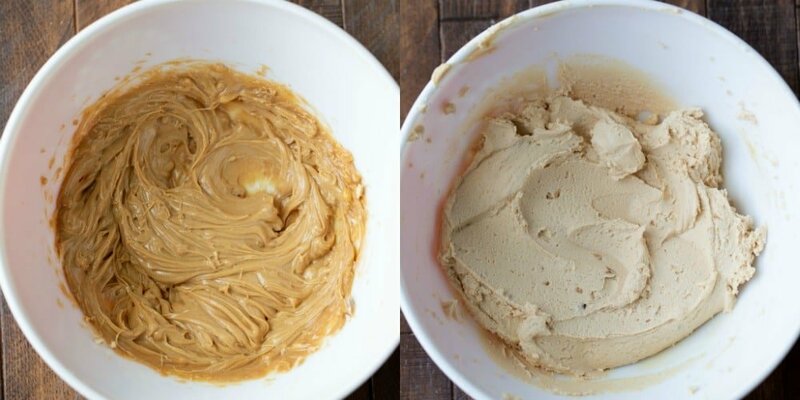 Easy peanut butter frosting recipe that makes rich and creamy peanut butter frosting. Also includes directions for how to make peanut butter frosting and recipes to use with the frosting. Peanut butter is one of my favorite foods. I’ve just always loved it. Turns out, not only is it great on sandwiches and in cookies, it’s also yummy in frosting! 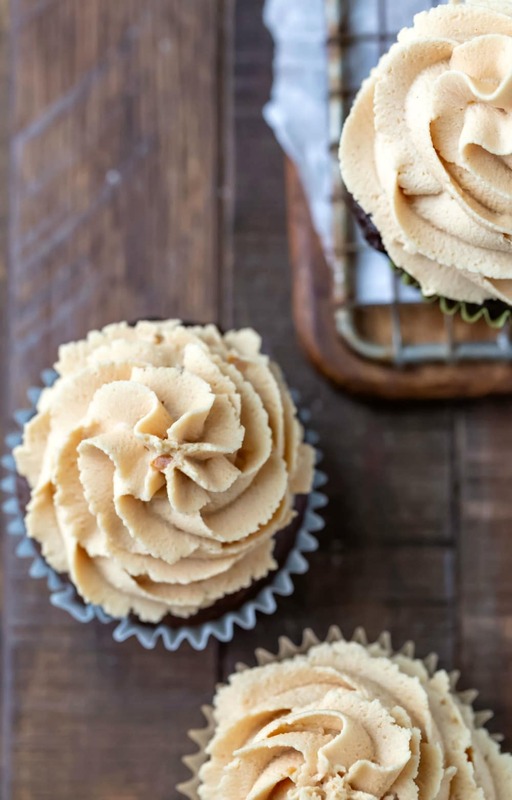 This peanut butter frosting is about as easy as it gets. It’s a simple buttercream frosting that has a nice creamy peanut butter flavor. This frosting pairs well with brownies, cake, cupcakes, and cookies (check out the recipe links just above the recipe if you’re looking for some ideas). 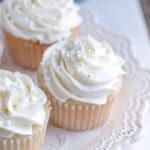 This is a really easy frosting recipe! Just beat the butter and peanut butter together. 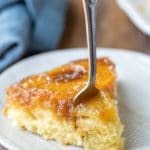 Then, add in the powdered sugar, milk, and vanilla, and beat until combined. It’s that simple! I don’t suggest using natural peanut butter in this recipe. The oil in regular peanut butter helps this frosting whip up nicely. 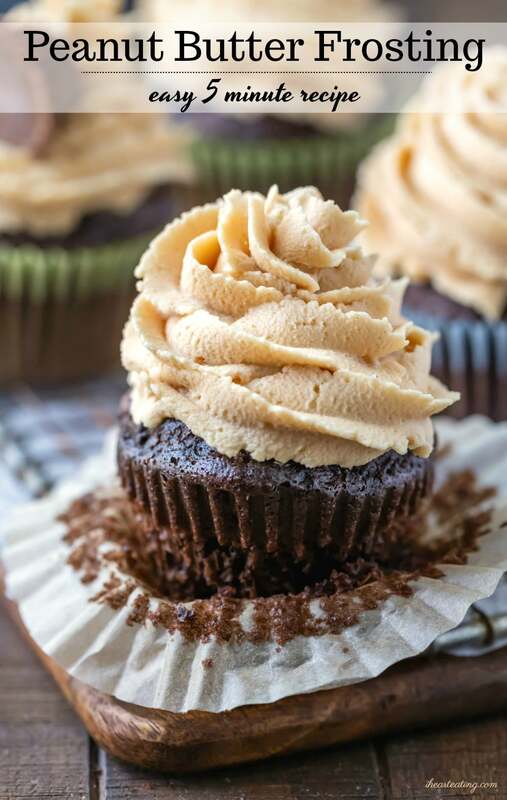 If you would like more of the natural peanut butter flavor, you can add a couple pinches of sea salt to your frosting. Yes, this frosting does crust. 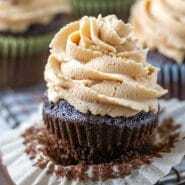 If you’ve tried this peanut butter frosting recipe, don’t forget to rate the recipe and leave me a comment below. I love to hear from people who’ve made my recipes! You can SUBSCRIBE to receive my latest recipe newsletters or FOLLOW ME on FACEBOOK, INSTAGRAM and PINTEREST for even more delicious food. In the bowl of a stand mixer, beat butter until creamy. Add in peanut butter, and beat on medium until well-combined. Beat on low for 30 seconds, or until powdered sugar is just combined. Increase speed to medium, and continue beating until frosting is well-combined. Add additional milk as necessary. *I don't recommend using natural peanut butter in this recipe. This is too good. I ate so much that there wasn’t enough for the cupcakes. 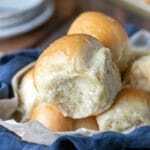 Next time I will have to make two batches! I don’t make frosting much, this one was so good. It was fluffy and was easy to make. Thanks! Fantastic! The frosting was so good, I couldn’t stop eating it! I made this frosting to go with chocolate cake, it was great! It was easy and went great with the cake. Thanks! Thank you so much! I love this frosting with chocolate cake, too! =) Thank you for commenting.